The property located at 1311-1317 N. Hayworth Avenue is a multi-family residential property consisting of 18 apartment units. 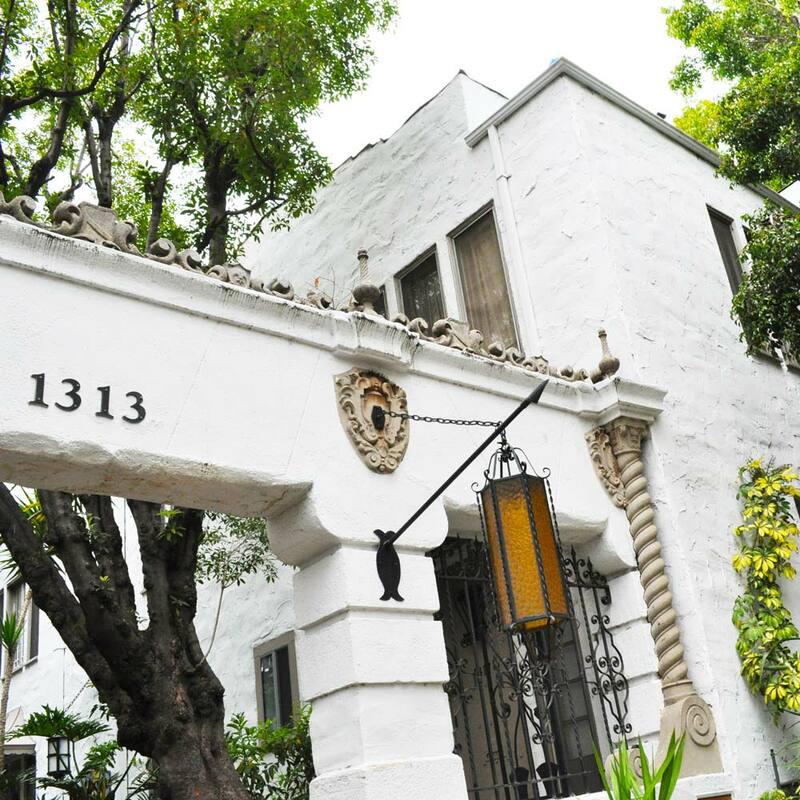 It is an excellent example of a Spanish Colonial Revival style garden court apartment constructed in 1924. 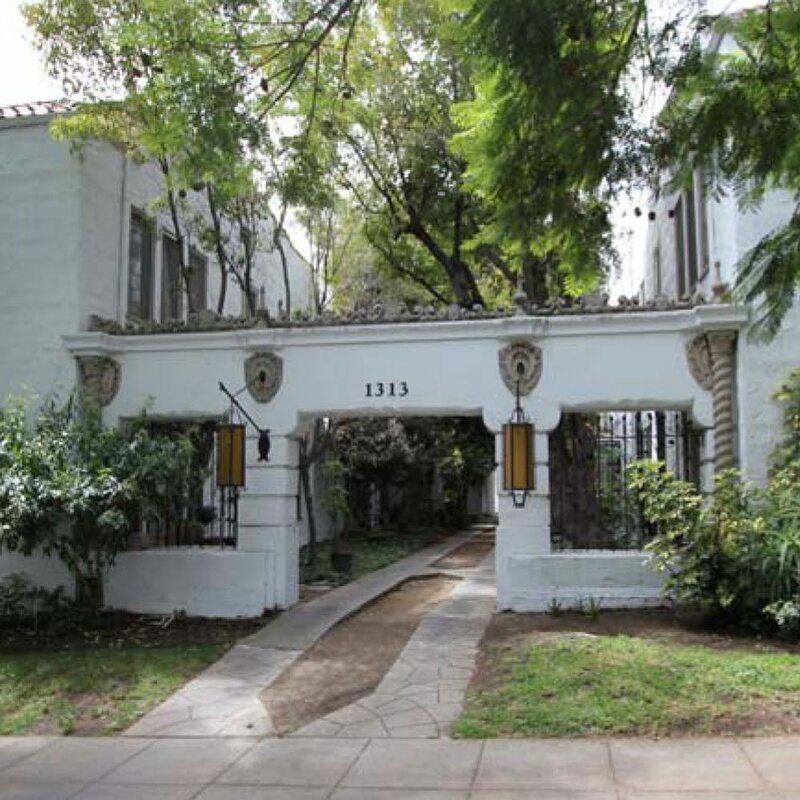 Garden court apartments, where compact housing was arranged around a central, landscaped courtyard, achieved popularity in Los Angeles during the 1920s, especially in the West Hollywood area. Similar to the bungalow court, they were designed to provide the intimacy and amenities of single-family housing in a multi-family property. Typically, garages and driveways were located at the rear of the property, as is the case with the subject property. The incorporation of an interior courtyard was influenced by buildings constructed in early California, which were typically built with a common, central courtyard or public space.